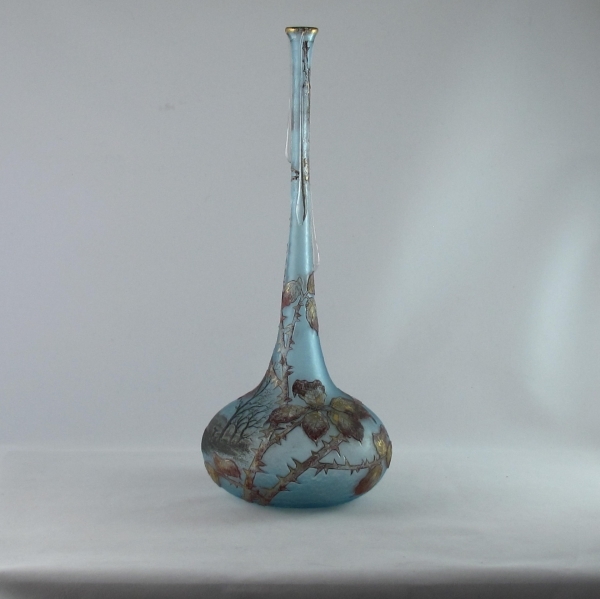 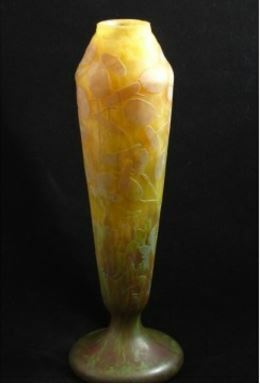 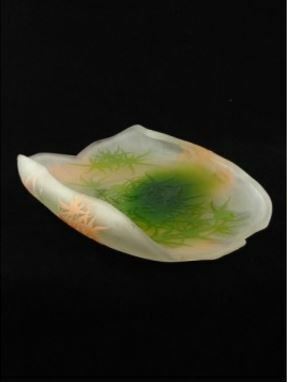 A stunning Daum cameo glass vase with applied clear glass icicles. 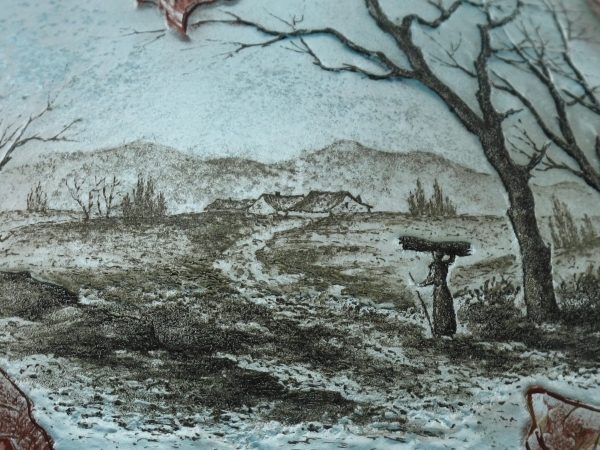 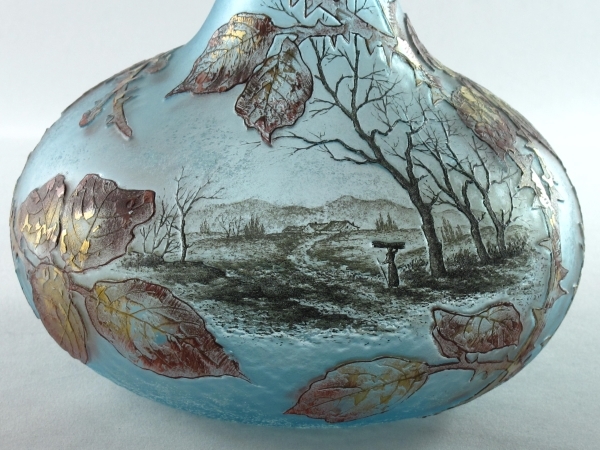 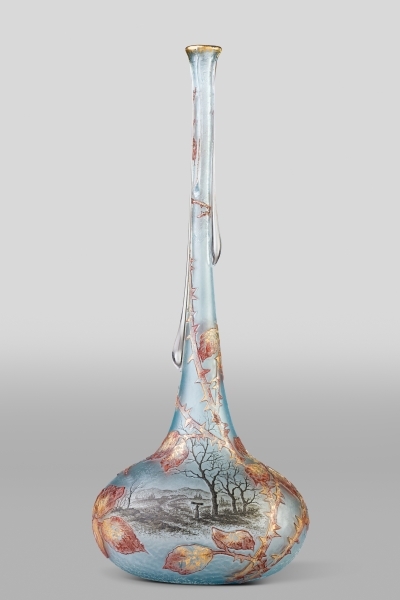 The vase shows a winter landscape with a lady carrying twigs. 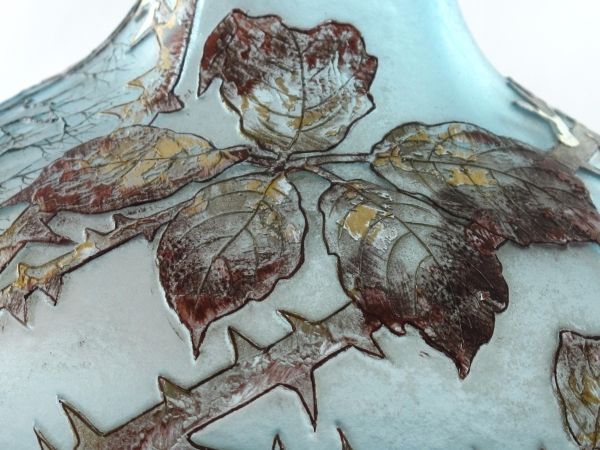 The design is further enhanced by a background of bramble leaves and thorns highlighted in Autumn colours. 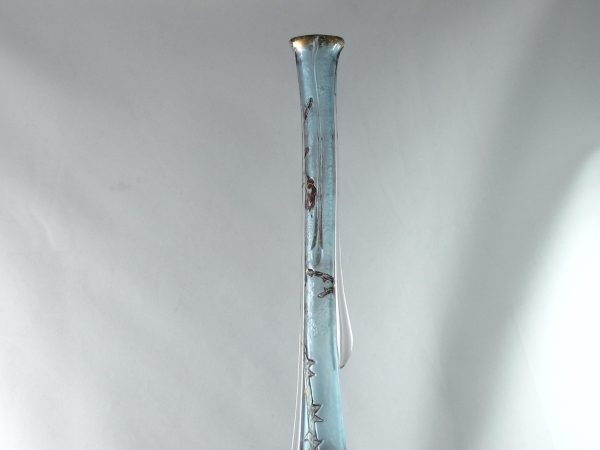 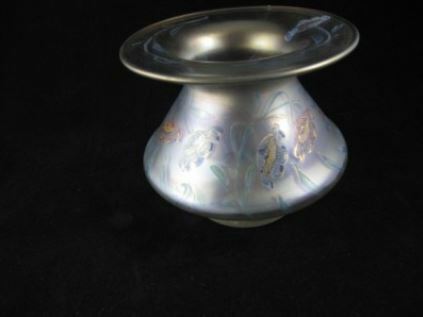 The clear glass has been applied four times trailing from the top of the vase in the form of icicles. 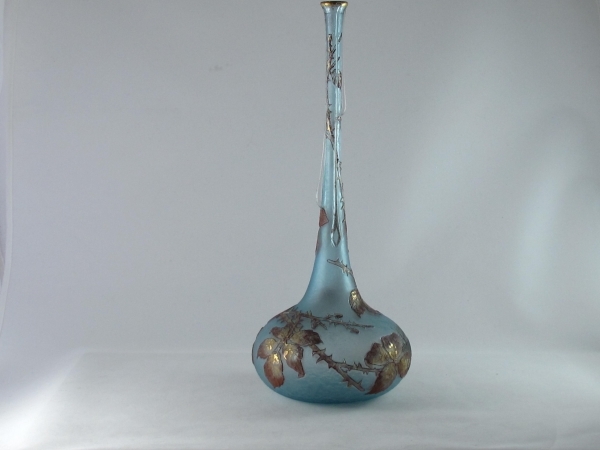 An extremely rare piece of exceptional quality. 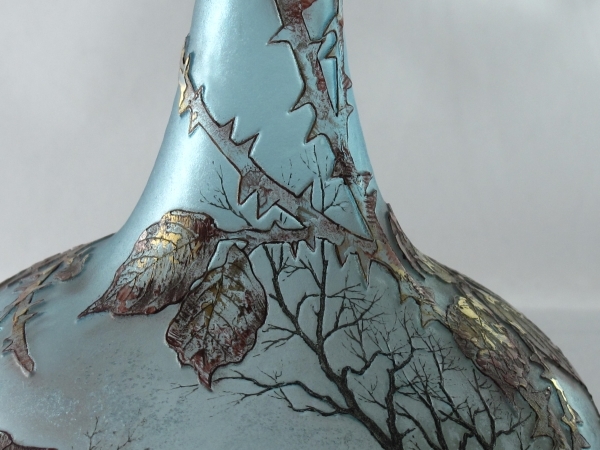 The fine detail of the workmanship of this piece is truly stunning. 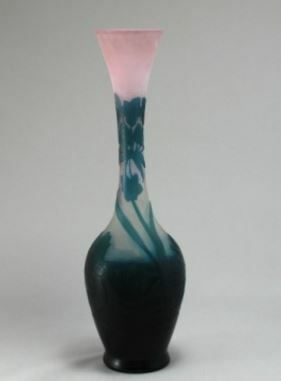 A similar piece was exhibited in Bordeaux in 1895. 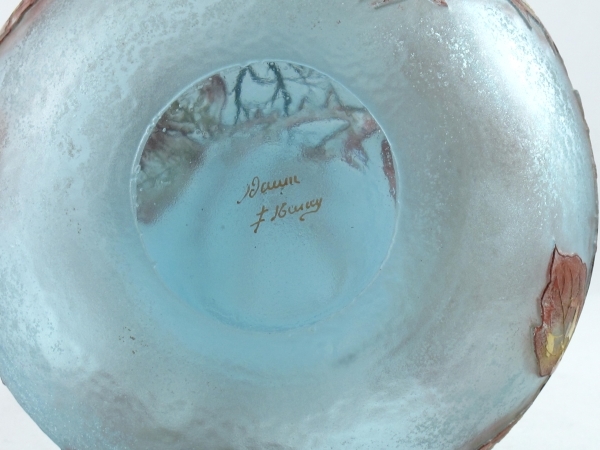 It is signed to the underside Daum Nancy and with the Cross of Lorraine.